Anaheim, CA September 21st, 2016 — Antelope Audio announced that its products have seized nominations in six separate categories for the 32nd Annual Technical Excellence & Creativity (TEC) Awards — more than any other company. Antelope received Technical Nominations in six different categories as follows: OCX HDand 10MX in the Ancillary Equipment; Satori Remote in Audio Apps & Hardware/Peripherals For Smartphones/Tablets; Orion32+ in Computer Audio Hardware; MP8D in Microphone Preamplifiers; Zen Tour in Musical Instrument Amplification And Effects; and lastly, Goliath in Signal Processing Hardware. The nominations for this year’s TEC Awards precede a significant announcement Antelope will be making at this year’s AES Convention concerning its revolutionary FPGA-based FX for its Thunderbolt™ interfaces. 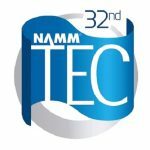 Presented by the NAMM Foundation, the TEC Awards are the pro audio and musical instrument industries’ most prestigious awards, honoring outstanding achievement in production innovation and sound production. Following a two-month call for entries, a panel of respected industry professionals from the audio and creative disciplines carefully evaluated each entry before selecting the OCX HD, 10MX, Satori Remote, Orion 32+, MP8D, Zen Tour and Goliath for nomination. Winners will be announced Saturday evening, January 21, 2017 in the Anaheim Hilton’s Pacific Ballroom via a live web stream. For more on Antelope Audio’s audio interfaces, click here.